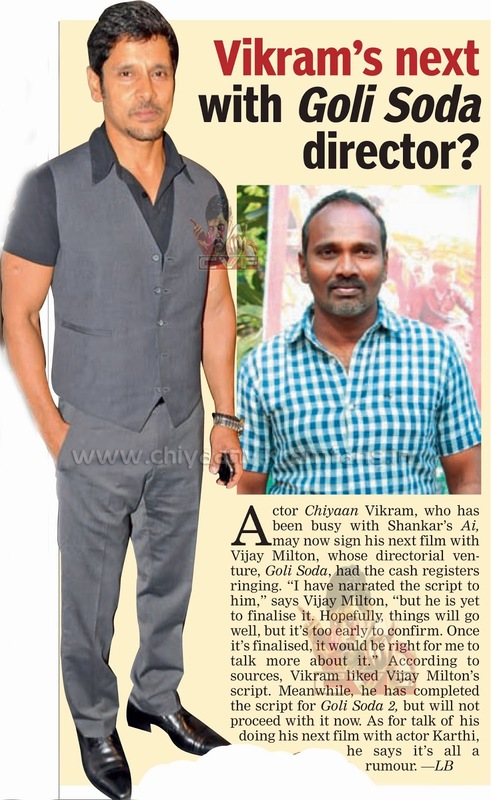 Actor Chiyaan Vikram, Who has been busy with Shankar's Ai, may now sign his next film with Vijay Milton, whose directorial venture, Goli soda, had the cash registers ringing. "I have narrated the script to him," says Vijay Milton, "but he is yet to finalise it. Hopefully, things will go well, but it's too early to confirm. Once it's finalised, it would be right for me to talk more about it,"
According to sources, Vikram liked Vijay Milton's script. Meanwhile, he has completed the script for Goli soda 2, but will not proceed with it now. 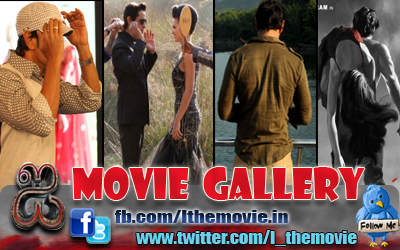 As for talk of his doing his next film with actor Karthi, he says it's all a rumour.